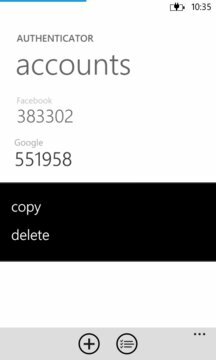 This is the only Google-compatible authenticator that works on Windows Phone because others do not synchronize time properly. This application is able to use NTP to get the exact time, so you must not worry about your system time accuracy. In addition, application will work fine even if you don't have an Internet connection. 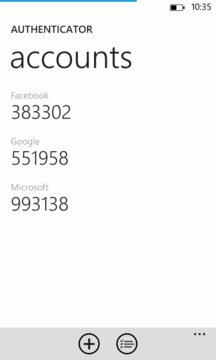 Authenticator is a simple security tool that generates a security code for accounts that require 2-Step Verification. Authenticator supports any 30-second Time-based One-time Password (TOTP) algorithm, such as Google Authenticator. You can add accounts to Authenticator by manually entering your RFC 3548 base32 key string or by scanning a QR code.